An instrumental record of songs by Nachum Heiman. Recorded in London. Musical Directorical, Arranger and Pianist. a record with Chava Alberstein. Musical Director, Arranger and Pianist. 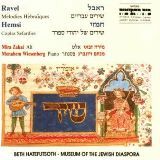 A CD issued by the Diaspora Museum with the Contralto Mira Zakai. Pianist. Joint CD with contralto Mira Zakai. Arranger and Pianist. CD with soprano Daphna Licht. Pianist. 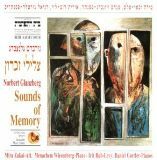 performed by the cellist Doron Toyster with the Rishon-Lezion Orchestra conducted by Pro. Noam Sherif. Composer. a CD issued by Koch International. Arranger. from the works of Norbet Glanzberg. Pianist. performed by Chen Zimbalista, Percussion. A CD Issued by Koch International. Composer. 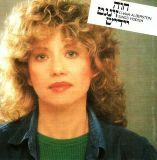 a CD issued by EMI (USA) with popular singer Chava Alberstein. Musical Director, Arranger and Pianist. 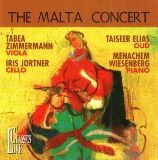 a CD issued by the German Label Classics Live (2007) Composer and Pianist. a CD issued by the German Label Classics Live (2007) Composer.